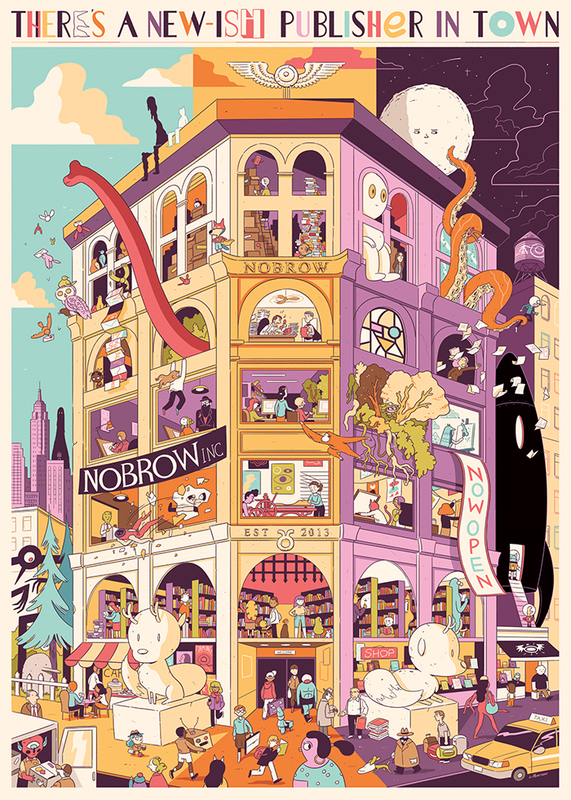 Luke Pearson was kind enough to immortalize our dominant position on the (imaginary) Manhattan landscape with this beautiful poster of Nobrow (US) HQ. It will also be featured on an oversized poster at every booth we have until the end of time, so get used to it. If you look carefully you can spot our two company founders, Alex and (a rather tired looking) Sam, Tucker (aka Mommy Batman), and a very business like Hilda. Happy fishing! Now, while we’re still recovering from the recent Toronto Comics Art Festival, everybody at Nobrow US already has their eye on the horizon—the horizon of the Javits Center that is, here in New York City! Why? Because starting on May 29th, that’s where we’ll be, attending Bookexpo America! (The cool kids call it BEA, for short.) We’ll be there to say hello to some of favorite booksellers and librarians while showing off advance copies of upcoming titles like The Best Book In The World and Forming Volume 2. You’ll find us at Booth 1107, unless we’re taking a break to get Anjelica Huston’s autograph. What’s that? You aren’t a bookseller or a librarian or a publishing bigwig? Never fear! The same weekend as BEA, you’ll be able to find Nobrow US setting up at the Chicago Alternative Comics Expo at Chicago’s Center on Halstead. From Saturday May 31st to June 1st, we’ll be showing off at Table 59. We’ll be joined by Jesse Moynihan for the American release of Forming Volume 2. He’ll sign them, he’ll draw in them—all you have to do is show up and be cool about it. What’s that? You want more? 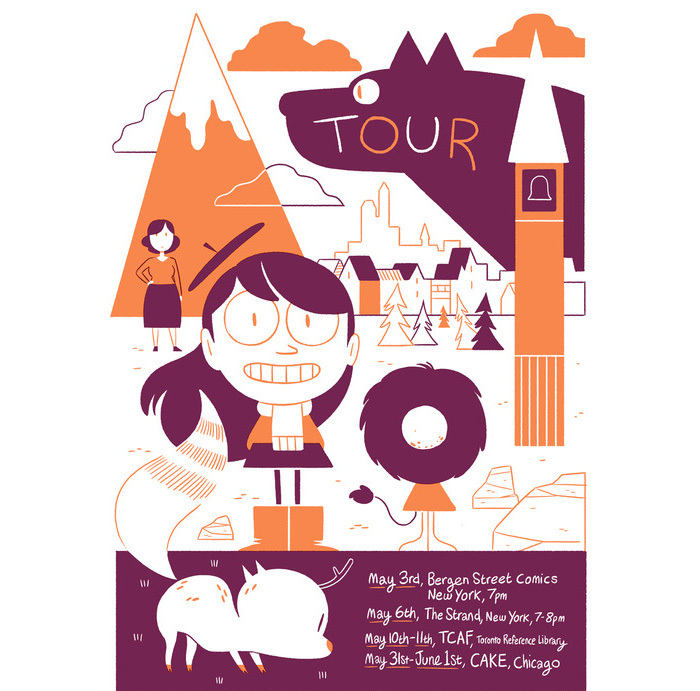 Okay friend, then how about this: Luke Pearson will be at CAKE as well, and if you know Luke, you know that Luke can’t stand to see a copy of Hilda that doesn’t have a sketch by him in it. All that blank space drives him crazy! 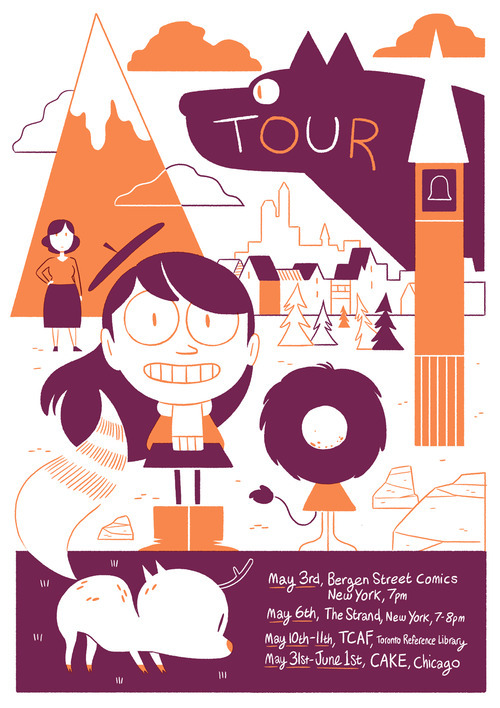 He’ll be at table 43A, and he’s promised to stop by and bless our copies of Hilda and the Black Hound with the tender slashings of a blank ink pen. Take that, empty space! It’s going to be a very crazy couple of days for New York and Chicago, so don’t miss out! 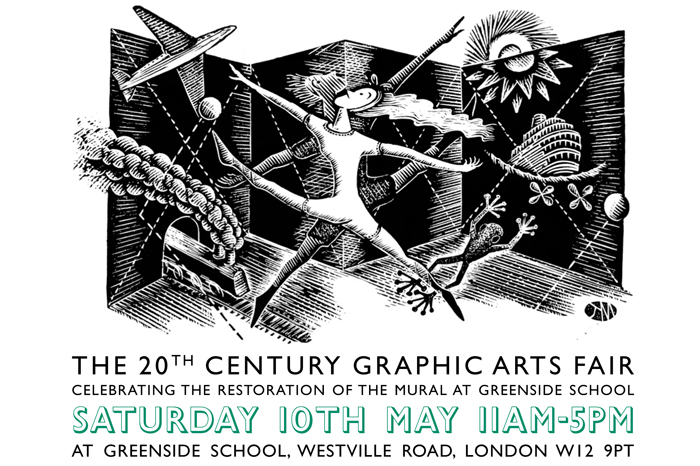 This Saturday, May 10th, Nobrow and Flying Eye Books will be in West London to support Friends of the Greenside Mural for a 20th Century Graphic Arts Fair. Bouncing off the Wall, organised in conjuction with Jennings Fine Art, is being held to support the restoration of a 1952 mural by Gordon Cullen at the Erno Goldfinger building at Greenside Primary School. It should be fantastic day with a great variety of exhibitors and artists in attendance, including; Ian Beck, Mainstone Press, Starch Green, Sansom & Company, Phoenix Comic, there will be a launch of previously unavailable Ravillious wood engravings, a ribbon cutting ceremony for the unveiling of the Mural, screenings of a film featuring Alan Powers, a sale of limited edition letterpress posters, printing demonstrations by St. Brides Library and Maypole dancing (of course). We’ll also be there with author and illustrator William Grill who will be signing the few remaining copies of first-edition of Shackleton’s Journey. Come and join us celebrate the craftsmanship of 20th century print, typography and design.